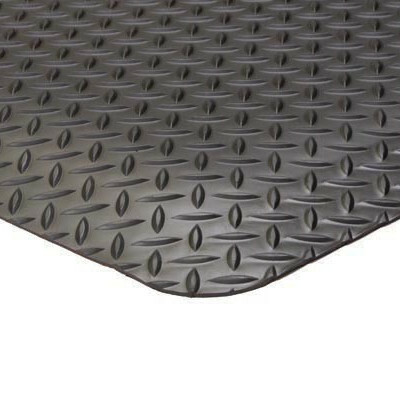 Diamond-Step – Vinyl Wear-Layer Anti-Fatigue Mat is an extremely durable diamond-plate surface, closed cell foam backed anti-fatigue mat. 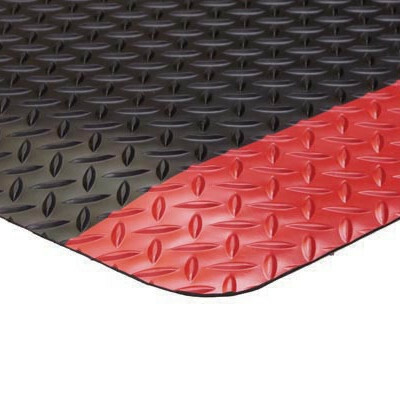 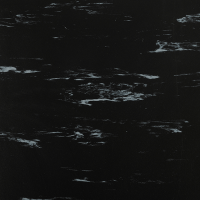 Available in three high-performing thicknesses (9/16″, 11/16″, and 15/16″), Diamond-Step features a long-wearing vinyl surface that is fusion bonded to the industry’s most comfortable closed-cell vinyl foam backing. 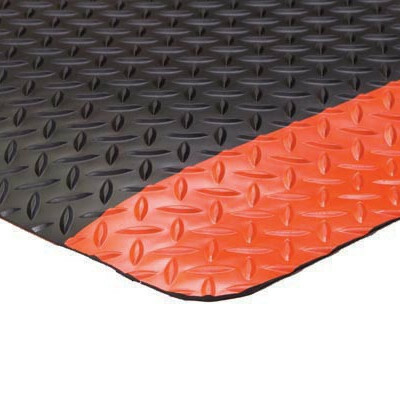 This cushioned construction reduces and fatigue and discomfort on Productions Lines, in Machine Shops, Maintenance areas, and other industrial workspaces. 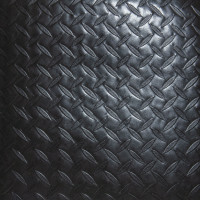 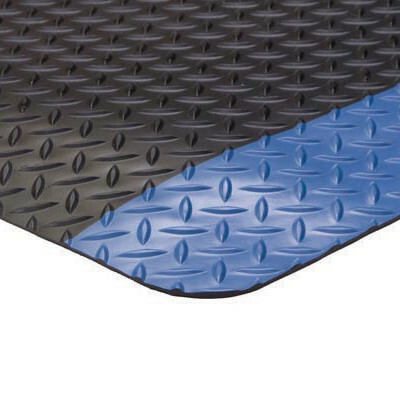 Diamond-Steps diamond plate surface pattern is made from 100% recycled materials that maximize traction. The beveled edges are available in a full array of colors to designate areas or indicate the need for caution. 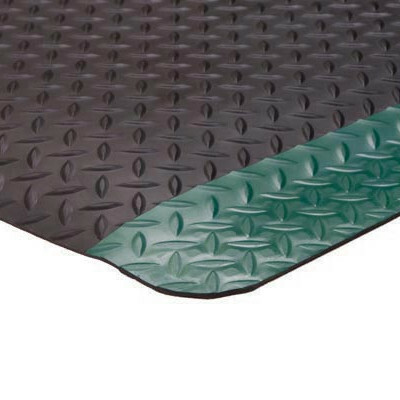 Choose the Diamond-Step 9/16″ Anti-Fatigue for an extremely comfortable, long-lasting, Anti-Fatigue Mat. 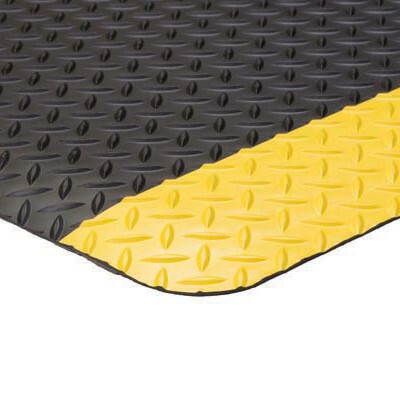 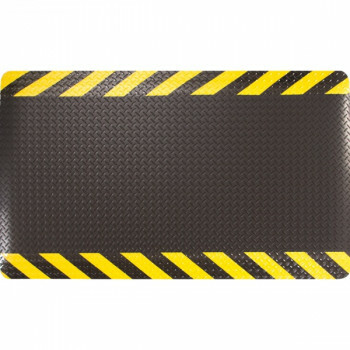 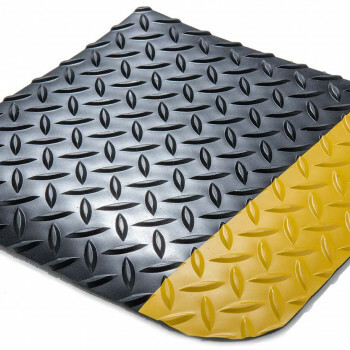 For an anti-fatigue mat with a marbleized rubber surface consider the Foot-Ease – 1/2″ Rubber Surfaced Anti-Fatigue Mat. 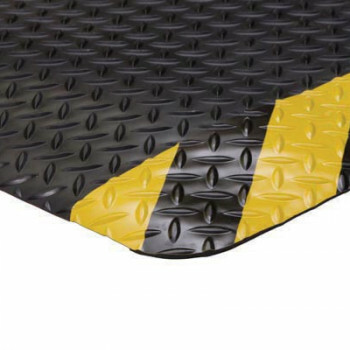 Available in three thicknesses: 9/16", 11/16", 15/16"
Colors: Black, Black / Yellow, Black/ Green, Black / Yellow Chevron, Black / Blue, Black / Orange & Solid Grey.